UK LP pressing. 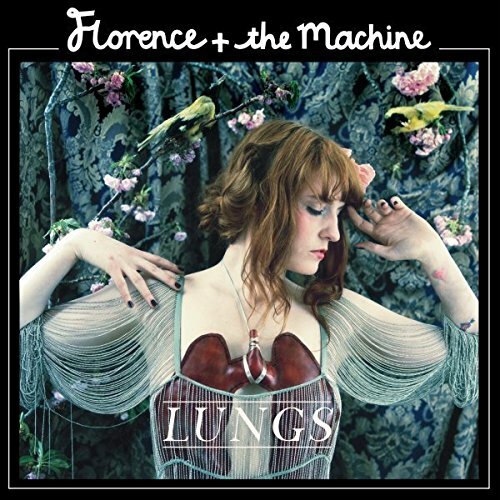 2009 debut album from the hotly tipped UK outfit fonted by Florence Welch. Lungs, produced by Paul Epworth, James Ford and Steve Mackay, is an intoxicating mix of delicate fragility, dark humor and twisted Tim Burton style fairy-tales. From the live favourite 'You've Got The Love' to the raw Blues-tinged 'Girl With One Eye' to the beautifully painful 'Between Two Lungs', the album is crammed with crowd pleasers. Also boasting fresh tracks like new single 'Rabbit Heart (Raise It Up)', 'Drumming' - with its epic denseness, the terrifyingly brilliant 'Howl' and 'Hurricane Drunk' with it's paradoxical charms of heartbreak, love and loss, Lungs promises to leave us wanting more of the insanely captivating Florence Welch. Universal. 2009. If you have any questions about this product by FLORENCE, contact us by completing and submitting the form below. If you are looking for a specif part number, please include it with your message.